Some say they are nature’s Viagra, others just enjoy their taste and texture. When it comes to oysters, you know there is no real need to have a reason to dig in. The only thing necessary is the stomach to handle these raw treasures from the ocean and the wallet to then pay for enjoying them. 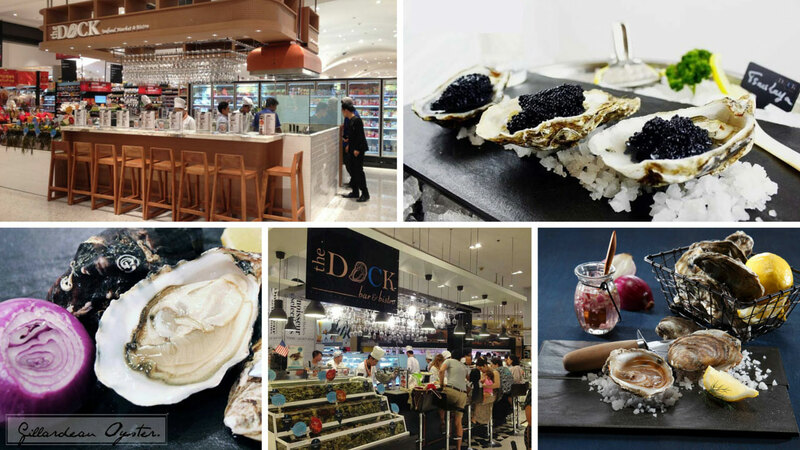 For those who know how to enjoy these slimy gems, these are the 5 top places to go around Bangkok to bring out the oyster connoisseur in you. Oysters are not that hard to find in Thailand. Often time you can easily get it sprinkled into your “kai-jiew” (thai fried eggs) and enjoy it that way. But if that thought makes you cringe then that is because you are looking for a more refined kind of oyster experience. At The Oyster Bar, you will get exactly that. The restaurant is a no-frills kind of place, decked out in a lot of white. Walking into the restaurant you may actually feel like you walked into the ocean – and rightly so, because the one thing that stands out at The Oyster Bar is that all the seafood that comes on your plate actually feels like it just came out of its natural habitat and straight to your plate. The guys who run this place know their trade and have trained their staff well so it will be a good place for you to really explore and talk about your oysters. Prices are also very fair for what you are getting. 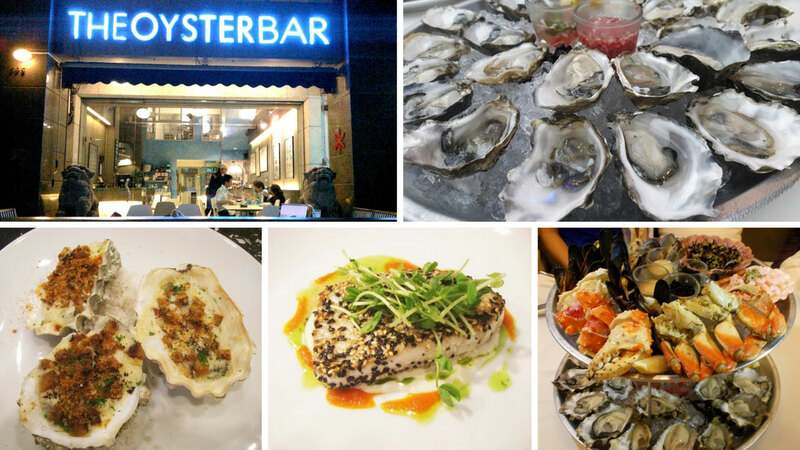 With a constantly updated menu, it is a place worth visiting more than once, so wait no longer, head down to The Oyster Bar and get your Fine de Claire on! 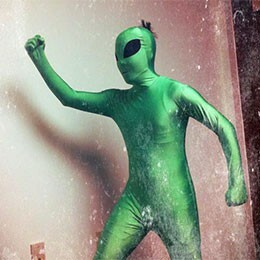 Follow them here. Not many restaurants just name themselves after what they specialize in anymore. That is why we really appreciate Lobster & Oyster for their honesty – but more than their honesty, we really appreciate them for their awesome food. 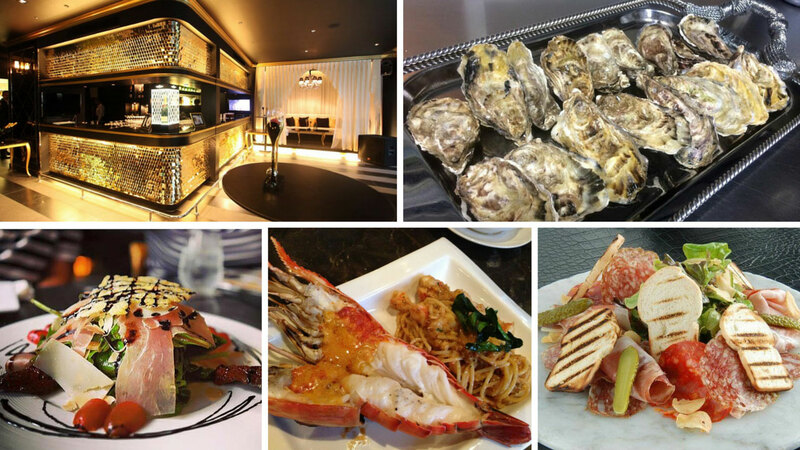 Being situated a little bit outside the “it” areas, Lobster & Oyster can offer premium grade menus for lower the price of a restaurant you would find closer to a BTS station. Their oyster selection is always rotating and they make sure it is as fresh as they come. The chef is a grill-specialist so his lobsters are on point, but couple that with the oysters and there is not much that can go wrong here. Start off your meal with their tasty oysters which come with multiple choices of “toppings”, and fill up with a Canadian grill lobster. A perfect restaurant to go with the family. Follow them here. If there is one thing that oysters scream, it is definitely hiso-ness. After all, one of these little slimey guys can buy you at least 2 bowls of noodles anywhere else on the streets. But when going for a high end meal, you might as well go all out – and at The Bar and the Restaurant by Moët & Chandon you will get exactly that. The spot is what all the hiso hip crowd is talking about. With a DJ spinning some tunes in the background while you choose your pairing of oyster and champagne from your private golden booth, you might forget you are in Bangkok for a moment. Luckily, the fanfare around the faux animal skin does not overcompensate for the food. 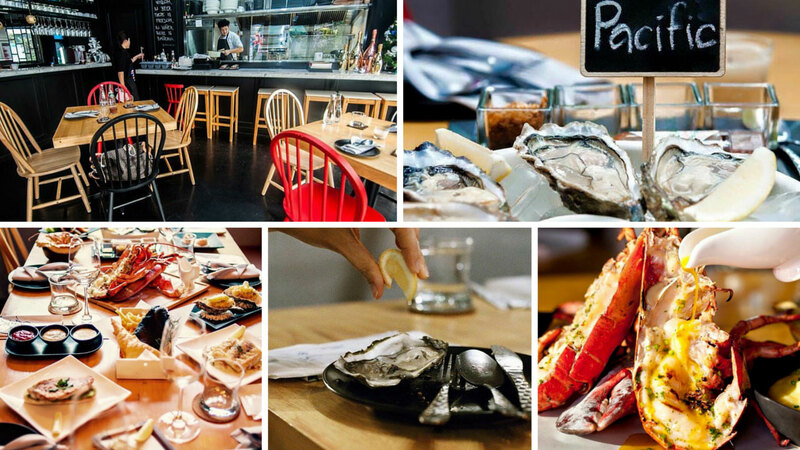 Because although pricey, all the oysters here might just be worth their price tag. 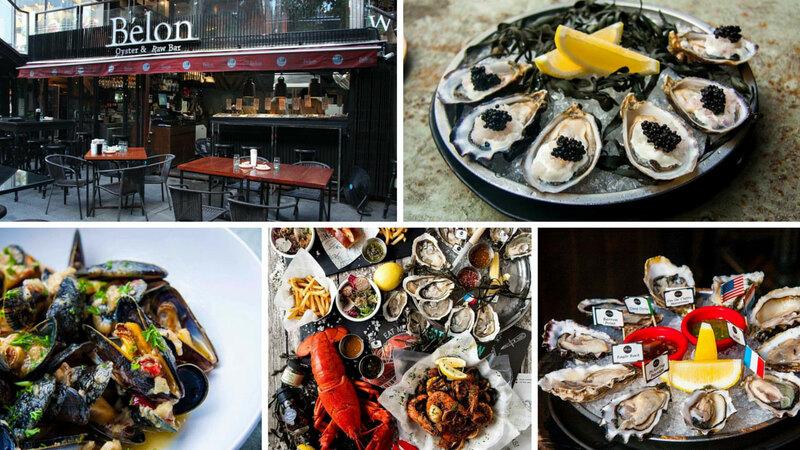 For a chance to hit this place up without having to fork out as much, check them out on Wednesdays when they have 50% off oysters. It is definitely a place worth taking your date if you want to impress. Follow them here. If you miss the famed Bouchot restaurant near Emporium that has sadly closed, you may want to head to The Raw Bar where the owners have opened up a new restaurant which specializes in everything “raw” as the name suggests. Although a little different from the mussel and fries they use to serve, everything at The Raw Bar holds its own. As soon as you walk in, you feel like you just arrived at the dock from all the dock type décor. And as any good bar should have, The Raw Bar has some very welcoming bar seats – but instead of different types of spirits beings lined up for you to choose from, they have all the different types of oysters available beautifully laid out on an ice bed. There is nothing more comforting than coming to a place expecting something, and always getting it – that is the experience The Raw Bar will always give when it comes to shucking fresh oysters. It is a place you will definitely come back to with friends or family. Follow them here. Sometimes you go to a restaurant to really take in the atmosphere while you enjoy your food. But there are other times when you just want to concentrate on the food without having to care about anything else. If that is a sentiment you share when it comes to your oyster game, then head on down to The Dock Bar & Bistro. This little spot is actually just a counter top located in the Gourmet Market in Siam Paragon. Without the need to worry about anything other than the food, The Dock is able to offer fresh oysters and other seafood items at a steal. You will enjoy sitting on the stools in the busy Gourmet Market while you see your food being prepared, but believe us, you will not have any time to hear the buzz around you as your food will take away all your attention. Great for a quick in, quick out kind of meal to satisfy those oyster needs. Follow them here.